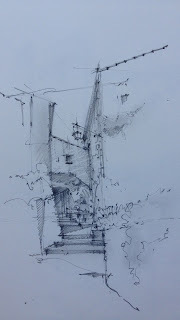 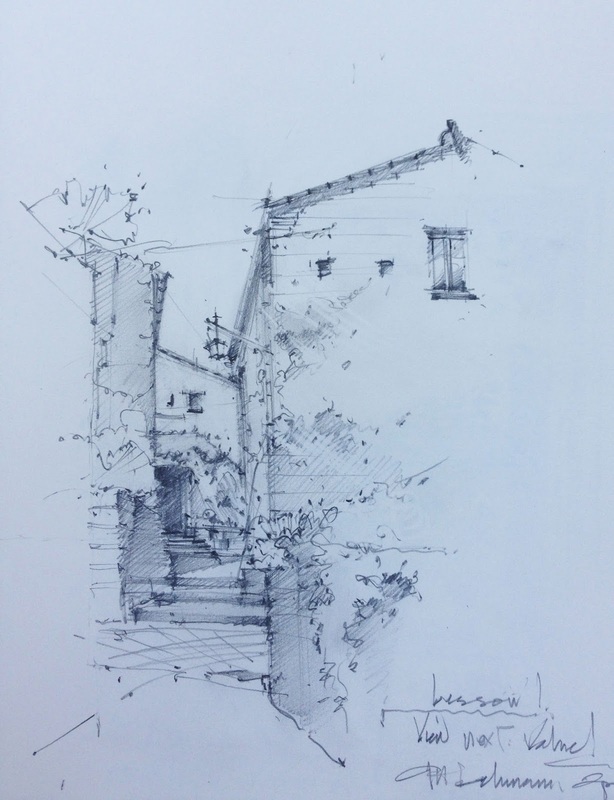 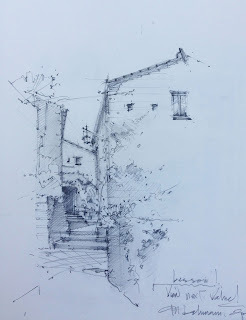 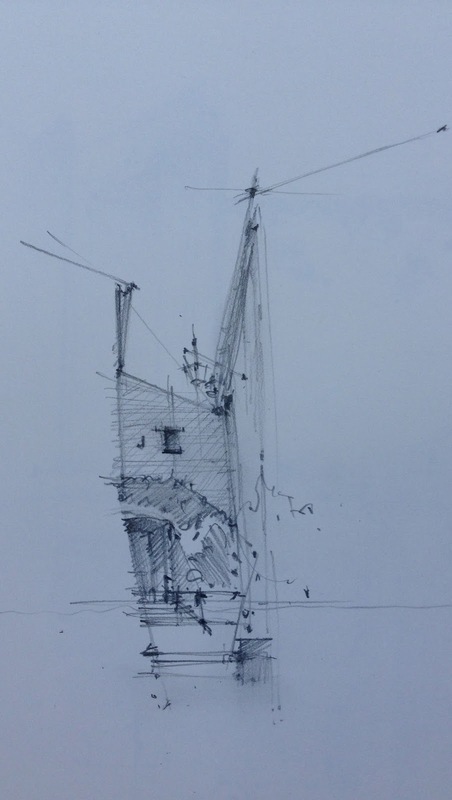 One of my first days in Civita, I began sketching close to home. 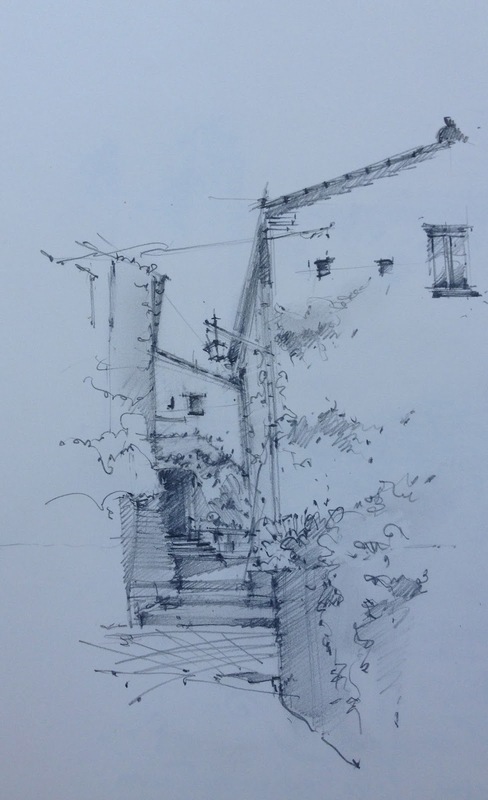 It is the threshold into the Civita Institute. 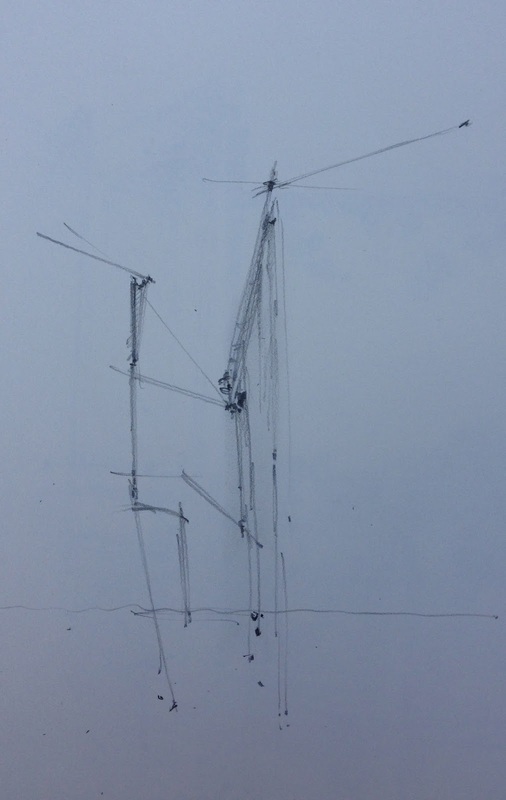 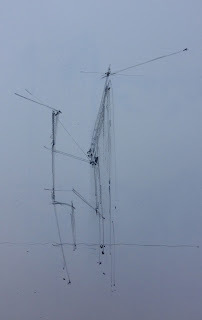 I chose to document the sequence in photograph as I discover the depictive processes of drawing.